Thanks Joel for this opportunity to discuss our work. I read Human Sciences at New College, Oxford before completing an MSc in Agriculture and Development at Reading University. Agriculture is about crop and soil science, but it’s also about communities, societies and cultures, so the fact that both these courses are interdisciplinary has been very useful for my PhD. Between my MSc and PhD I worked for six months on a Permaculture farm in Konso, Southern Ethiopia, which taught me a lot about subsistence farming in a dry-land area, including the practical difficulties and the way individuals, households and communities cope. Your PhD is looking at various ‘agricultural interventions to address dietary mineral deficiencies’ – Could you expand a little on what that means and what the project you are working will examine? The challenge we have set ourselves is to examine how agricultural systems can be adapted to optimise the supply of minerals to a population. Minerals such as calcium, iodine, iron, selenium and zinc, are essential for human health. Dietary supply of minerals depends on what crops/livestock are eaten, and on the soil. Other important factors include cooking method and health, particularly diarrhoeal diseases. 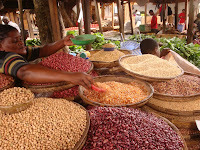 In Malawi, our case-study country, the diet is predominantly maize-based. Due to its crop physiology, maize is good at providing energy (and some minerals such as magnesium), but is not as mineral dense as vegetables, fruit, fish or meat. When your diet consists of maize porridge 2-3 times per day and little else, you’re likely to suffer mineral deficiencies. So one agricultural intervention is to promote dietary diversity. See this article for example. Another option is to try to increase the mineral content of crops, through crop-breeding, fertilisers or soil management. So far our project has looked mainly at selenium (Se). There’s evidence to suggest that Se deficiency is widespread in Malawi. Se has many functions in the human body, including in thyroid hormone metabolism, antioxidant defence and the immune system. The transfer of Se from soil to maize is dependent on soil pH – at low soil pH, Se is highly unavailable to the maize root. Our research in Malawi has found that women living in villages on low (c.4.5) pH soils have poor Se status, whereas women living on high (>6.5) pH soils have a generally healthy Se status. This shows that soil mapping can be a useful tool for estimating variation in dietary mineral supply. 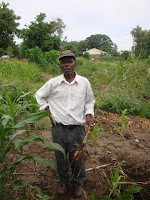 to cassava grown on common red soils? We’re now working to expand our dataset to look at a wide range of crops, and see how their mineral content varies spatially and according to the soil. 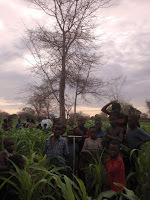 I will also conduct field trials next year in Malawi, adding lime to maize in order to test how increasing soil pH alters maize grain concentrations of multiple minerals, and whether it might be a feasible nutrition strategy for particular soils types or under certain contexts, such as locally available lime sources. Average population Se intake is low in the UK and this is linked to low levels of Se in our soil. Population average intake has declined since the 1970s, and it’s suggested that this is because we used to import much more of our wheat (c.45%) from N America than we do now (c.15%). 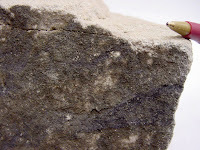 Soils derived from selenifrous parent material (including shales, sandstones, limestones, slate and coal series) are widespread in parts of the US and Canada. China has areas of very high Se soil concentrations, and areas of very low, leading to problems of Se toxicity (characterised by loss of hair and nails) contrasting with Se deficiency (Keshan and Kashin-Beck diseases). I think the work on Se highlights how important it is to better understand the relationship between human health and soils. There’s a huge need for geologists’ skills in mapping and soil studies to inform agriculture and health. BGS is at the centre of this in the UK (http://www.bgs.ac.uk/gbase/AdvancedSoilGeochemicalAtlasEbook/index.html#/1/). You’ll be travelling to Malawi as part of your research to undertake fieldwork – what made you select this country? 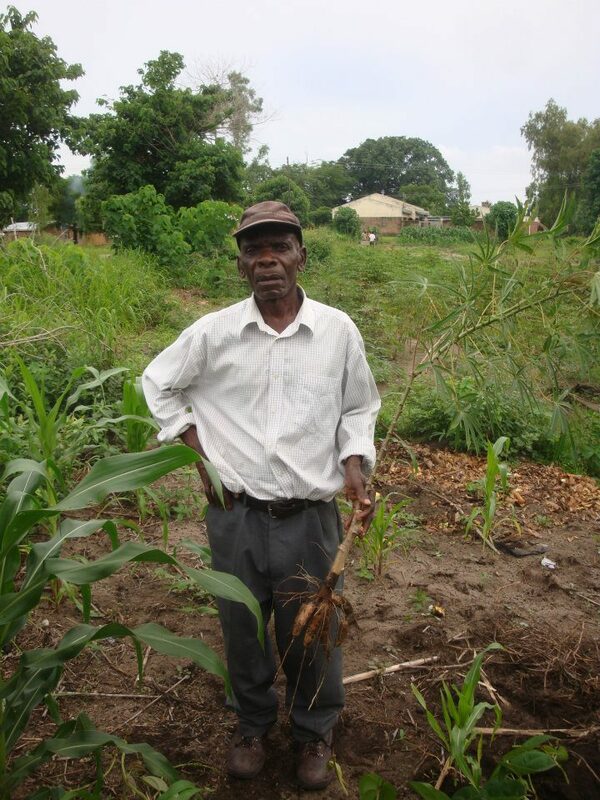 The project is a collaboration with the Malawian Ministry of Agriculture (MoA). Much of the project’s data up to now results from field work done by Allan Chilimba, who recently completed his PhD here at Nottingham and has now returned to his senior research post at the MoA. It’s a safe country, with quite good political stability. Importantly for our work, the MoA has a good structure for disseminating research through its regional Extension Planning Areas, and local agricultural advisors who regularly meet and discuss with farmers. What skills, other than the agronomic and geological, are you expecting to need to undertake the work effectively? Although the field trials will be conducted at MoA research stations, there remain lots of logistical challenges such as sourcing, crushing and incorporating the lime before planting and the onset of the rainy season. So I need to plan ahead but also be flexible. Finally, what made you decide you wanted to do a PhD, and why this PhD in particular? My decision to do a PhD largely depended on the project specifics including the topic, the opportunity to do in-country fieldwork, and the supervisory team. But most importantly, I think the project benefits from linking with the Malawian MoA, Department of Health, and Bunda College of Agriculture. Our discussions with them help form our research topics, ensuring that our research is relevant to their needs. We can also directly communicate our findings to them, minimising the barriers that can hinder scientific research from benefitting people. We will be hoping to catch up with Edward and interview him again during and/or after his fieldwork, where he can share more first-hand experience of what it’s like to conduct research in a developing country and the lessons he has learnt.